^ Mulvihill, Mike. "From Doctor Thorne and The Secret Agent to Maigret and SS-GB, get ready for these TV scorchers". Dailymail.co.uk. Retrieved 2016-10-21. ^ "Weldmar Hospicecare Trust - Caring for Dorset". Weld-hospice.org.uk. Retrieved 2016-10-21. ^ Singh, Anita. 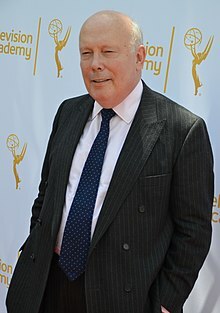 "Julian Fellowes: inheritance laws denying my wife a title are outrageous". Telegraph. Retrieved 2016-10-21. ^ Savill, Richard (2002-08-30). "Writer buys his own Gosford Park". Telegraph. Retrieved 2016-10-21.